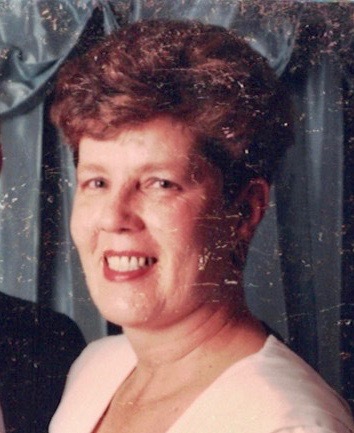 Helen F. Lescosky, 76, of Lake Wynonah, passed away Sunday, February 10th, at Lehigh Valley Hospital - Schuylkill, E. Norwegian St., Pottsville. Born in Tremont,on October 12, 1942, a daughter of the late Carl & Ella (Aukstikalnis) Novitsky. She was the wife of George A. Lescosky. She was a member of St. Ambrose Roman Catholic Church, Schuylkill Haven and the National Association of Retired Federal Employees. Helen was a graduate of Nativity BVM, class of 1960. She later attended Schuylkill Career and Technology Center and received her LPN certification. She worked as an LPN at various nursing homes and she was last employed for 30 plus years at the former Wernersville State Hospital. In addition to her husband, she is survived by her children Catherine Lescosky, fiance of Michael Loux, Phoenixville, Ellen Romberger, Schuylkill Haven, Natalie Stramara, wife of Steven, Orwigsburg, Carla Lescosky wife of Chris Brewer, Las Vegas and Andrew Lescosky, Sr., & his significant other, Amber McGlone, Orwigsburg; grandchildren Sarah McGorry wife of Stephen, Hamburg, Emily, Hannah and Hunter Romberger, Schuylkill Haven and Andrew Lescosky, Jr., Port Orange, Florida; great grandchildren Jude and Keane McGorry; brother Anthony Novitsky, Mount Carmel; nieces and nephews. A Mass of Christian Burial will be celebrated at St. Ambrose Roman Catholic Church, Schuylkill Haven, PA, at 10:30 am on Tuesday, February 19th. A visitation for family and friends will be held Tuesday 9:15 am until the time of the Mass at the Church. In lieu of flowers, Helen's family requests donations in her memory to St. Ambrose Church Memorial Fund 201 Randel Street Schuylkill Haven, PA 17972. Interment will be held at Fort Indiantown Gap National Cemetery, Annville.